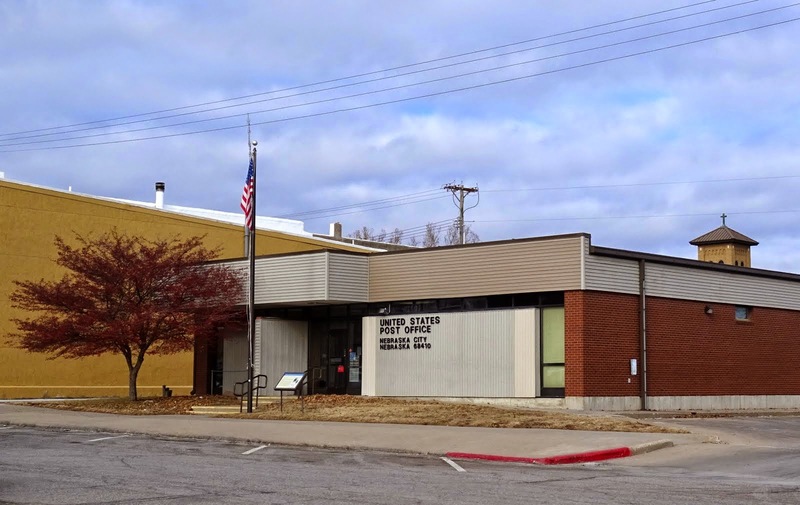 A postcard from PAT FRIEDLI, Nebraska City, NE / USA. 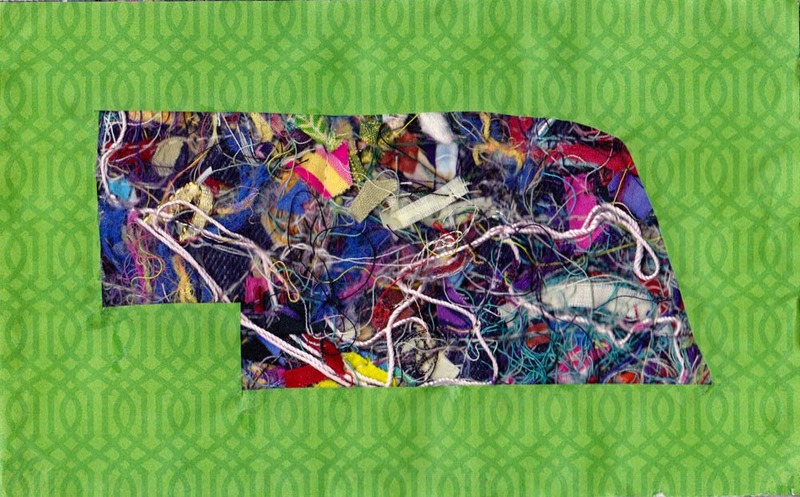 Collage: paper with inserted textile-snippets in the shape of the State of Nebraska. 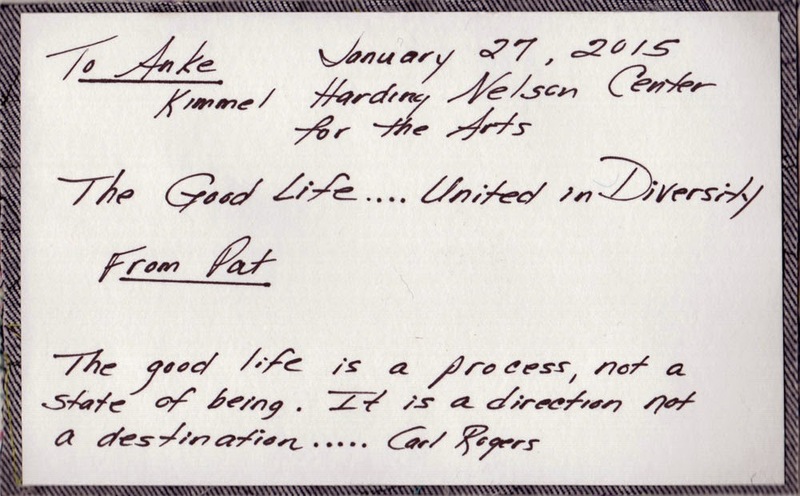 Pat is the Assistant Director of the KHN center for the arts in Nebraska City.